As society embraces learning and communication technologies, so does Brentwood Park. 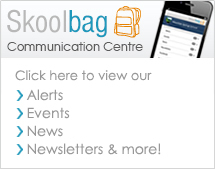 eLearning is becoming and will continue to evolve as an integral part of our Learning and Teaching strategies. Students will continue to develop ICT skills and utilize an increasing repertoire of skills to become active and independent ICT users. 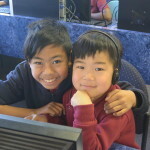 Students will develop their abilities to communicate, collaborate, plan, analyse and solve problems using ICT. 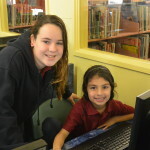 Brentwood Park’s eLearning enables the students to be engaged in authentic and challenging learning experiences, continuously building the confidence and the skills to ensure their success in knowledge acquisition through open-ended eLearning. ELearning enables collaborative work and interactive learning which facilitates peer tutoring and mentoring. Students and staff continue to be encouraged to assume greater responsibility for their learning. Brentwood Park Primary School will continue to enhance our learning and teaching program through the appropriate use of ICT. 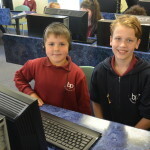 As students, staff and administration become efficient and competent users of ICT this will ensure that Brentwood Primary is at the forefront of ICT. Brentwood Park classrooms all have interactive whiteboards which are an integral part of our learning and teaching program.